Danny Kennedy, a 54-year-old West Virginia resident, was shot and killed over a car that got stuck in his yard. It is about as trivial a reason for killing someone as we can imagine. The Register Herald reports that a car with three people left a neighbor's yard and tried to turn around in Kennedy's driveway. The car got stuck in the yard, causing an argument between the three people and Kennedy. Kennedy went inside, then came back outside, and resumed the argument. That's when he was shot. The three people fled on foot and Kennedy was hospitalized, where he died. 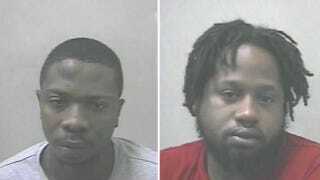 Police arrested suspect 22-year-old Dominic Paige and Antonio Wade, 28. They are still searching for the last person in the car, who was no older than 18. It is unclear who actually shot Kennedy.